The Vice-Chancellor, Professor Yakubu Mukhtar, is pleased to announce and invite graduands, their parents/guardians, friends of the University and the general public to the Maiden combined Convocation and 11th Anniversary Ceremony for the graduates of 2012/2013 to 2016/2017 of the University, scheduled to hold on Friday 23rd and Saturday 24th February, 2018. 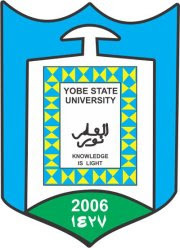 Read Also: Yobe State University Convocation Academic Gowns Collection Procedure for Graduands. YSU Convocation & Anniversary Ceremony Programme of Events.